J.C.Wells, 1990. Longman Pronunciation Dictionary. First edition. Harlow: Longman. ISBN 0 582 96411 3 (cased edition), 0 582 05383 8 (paperback edition). J.C.Wells, 2000. Longman Pronunciation Dictionary. Second edition. Harlow: Pearson Education Limited. ISBN 0 582 36468 X (cased edition), 0 582 36467 1 (paperback edition). 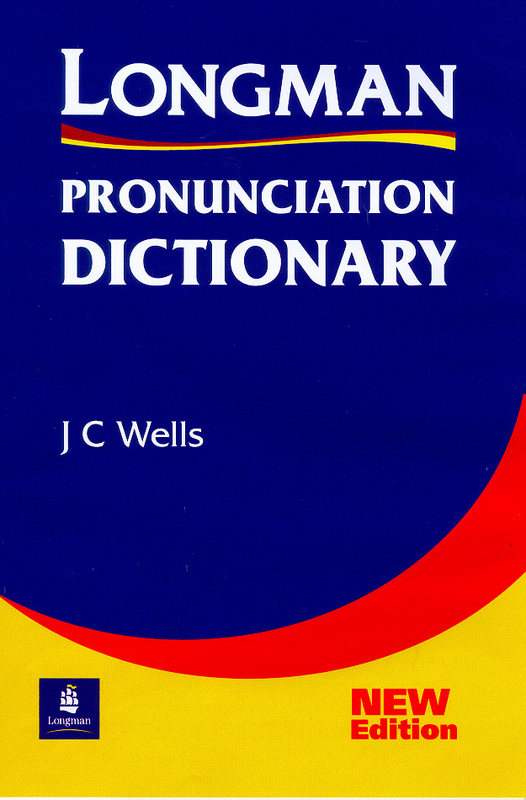 The author, Professor John Wells, holds the chair of Phonetics in the University of London – a position previously occupied by A.C. Gimson and, before him, Daniel Jones, who was responsible for establishing the standard IPA system used in English Language Teaching throughout the world. Read about the research carried out in preparation for the second edition! The first edition of this book was awarded the English-Speaking Union Duke of Edinburgh's prize for lexicography. 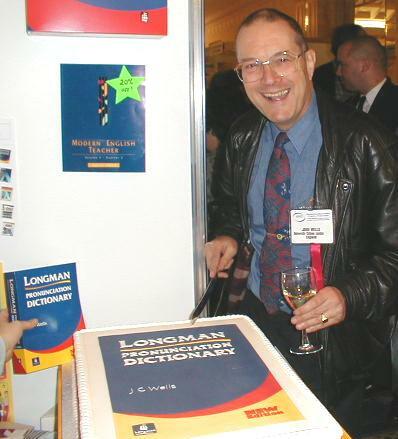 A spoken version of the first edition of the Longman Pronunciation Dictionary was incorporated in the Longman Interactive English Dictionary, a CD-ROM published by ACT Multimedia/ Harlow: Longman, ISBN 0 582 236940. The publishers' UK address is Pearson Education, Edinburgh Gate, Harlow, Essex CM20 2JE. Tel +44 1279 623623. Fax +44 1279 431059. Visit their web site. Their head office is at 10 Bank Street, White Plains, NY 10606-1951. Tel +1 914 993 5000. Fax +1 914 997 8115. New edition now in the bookshops! Survey and results - John Wells's home page - UCL Department of Phonetics and Linguistics.